Winter is a great time to barbecue as the natural moisture in the air during the winter months helps keep food from drying out, giving you delicious, juicy results. With Christmas and New Year’s right around the corner, why not try roasted pork belly, roasted root vegetables or salmon? But, before you begin, make sure your barbecue is ready. Whether you prefer cooking on a gas grill, charcoal grill or a smoker, be sure the barbecue is clean and everything is in good condition, so you can enjoy your guests once the cooking begins. 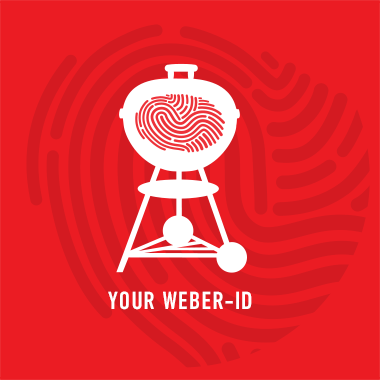 These tips take only minutes to do, and will assure safe barbecuing on the big day. Whenever changing or disconnecting a gas bottle, perform a leak check when the bottle is reconnected. A simple soapy water solution applied to the connection is all you need. With the control knobs off, turn on the gas at the bottle. If bubbles form, this indicates there is a gas leak. DO NOT USE THE BARBECUE . Turn the gas off again and, in the first instance, try a different gas bottle, if the bubbles persist then you may need to replace the hose on your grill. Using a clean Weber stainless steel brush, brush across the portholes to clear all oxidation and debris from the ports. Do not brush lengthwise, as that may push more into the holes. Blocked portholes can reduce the performance of your barbecue. Excess grease can collect on the sides of the cookbox over time. Grease is flammable and can be dangerous if left to build up for a long period of time. Use a plastic scraper to push all grease into the grease tray at the bottom of the cookbox, where it can be easily disposed of. Use a plastic scraper to push all of the excess grease into drip pan below the cookbox. Remove the foli drip pan and replace it with a new one. Empty all ashes and unburnt charcoal from the bowl and ash catcher before you barbecue. Your charcoal will burn easier, and no burning ash will end up outside the barbecue.